14 Guitar Scales Printable and easy to read. 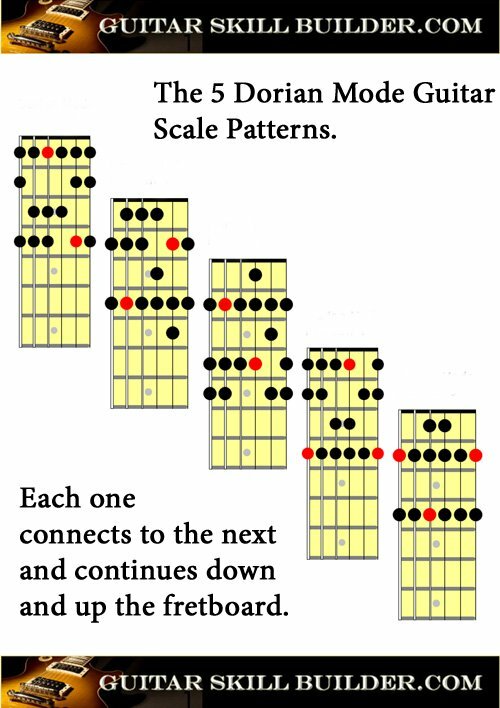 Guitar Scales Printable and ready to go. 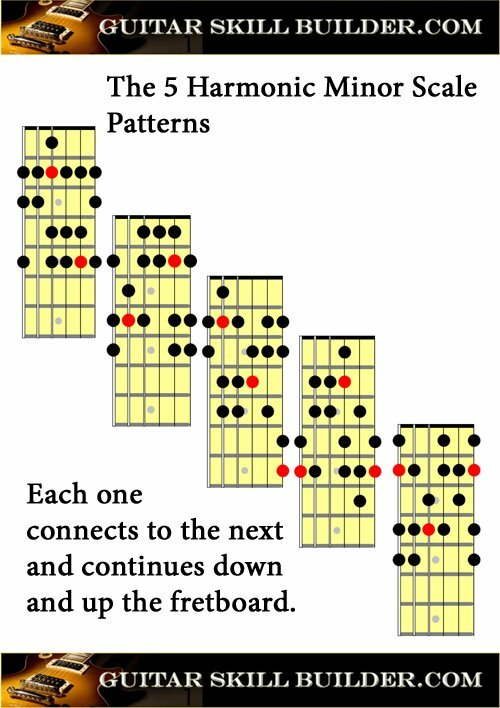 The best way I have found to use these charts is to hang them on a wall, strap your guitar, start up a backing track with the proper chord changes happening and just Jam. Of course you have to have them under your fingers so start out with a metronome and learn it all the way up and down the neck of your guitar. Get to the place where you can ramp up to a decent speed and then play it 5 times in a row, without errors and do that all the way up and down the neck. Really good Jazz players play scales for hours, so they just can't get it wrong anymore. The guitar major scale is happy upbeat and useful in a variety of styles of music. 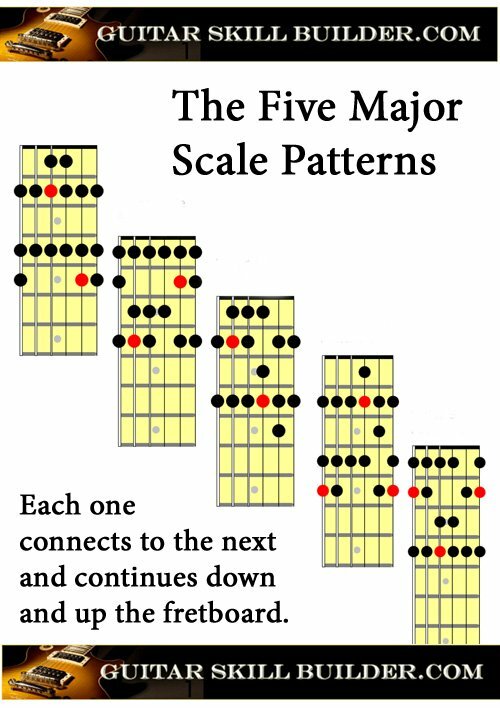 Clicking here and on the image below will open a PDF file of the Guitar Major Scale Chart that prints nicely. The Dorian mode sounds jazzy and has a great sound that has to be experienced. Clicking this link and on the image below will open a PDF file of the Dorian Mode Chart that prints nicely. 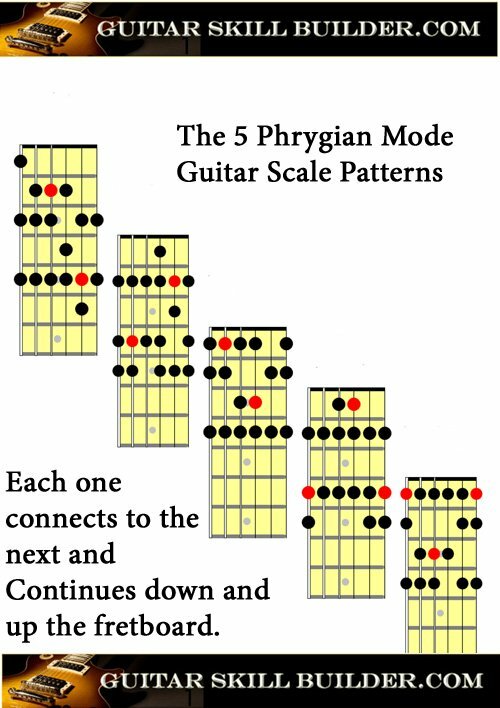 Clicking here and on the image below will open a PDF file of the Guitar Phrygian Chart that prints nicely. 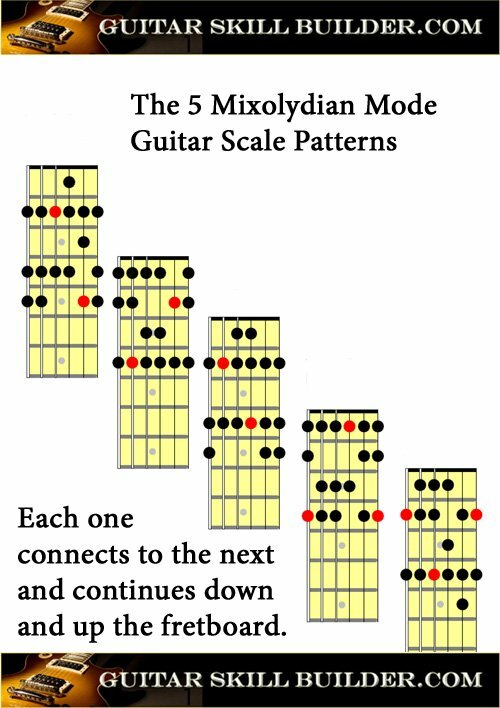 Clicking here and on the image below will open a PDF file of the Lydian Mode Guitar Chart that prints nicely. Clicking here and on the image below will open a PDF file of the Mixolydian Mode Guitar Chart that prints nicely. Clicking here and on the image below will open a PDF file of the Locrian Mode Chart that prints nicely. 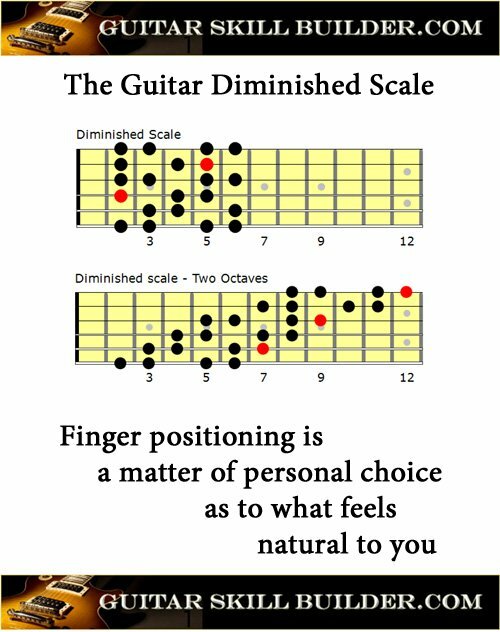 Clicking here and on the image below will open a PDF file of the Natural Minor Scale Chart that prints nicely. Clicking here and on the image below will open a PDF file of the Harmonic Scale Chart that prints nicely. 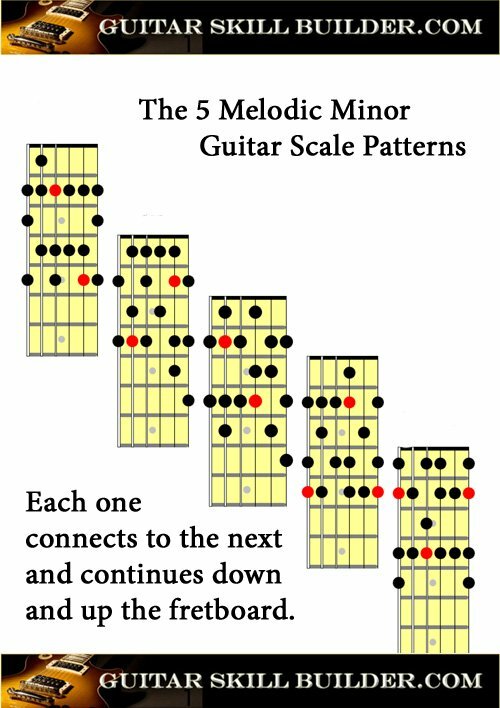 Clicking here and on the image below will open a PDF file of the Melodic Minor Scale Chart for Guitar that prints nicely. 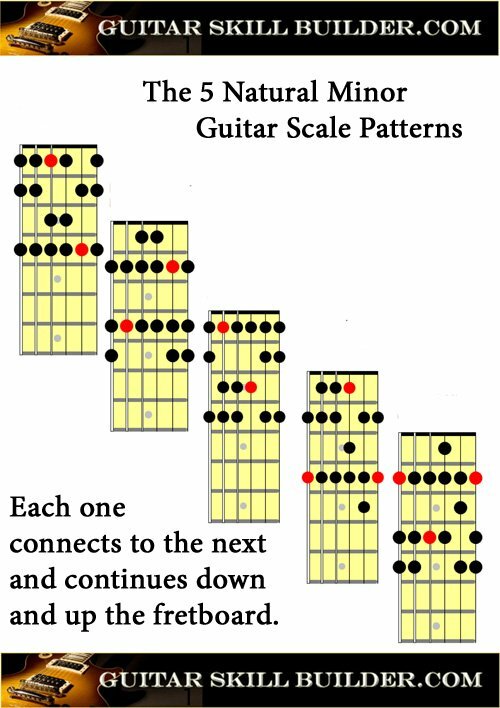 Clicking here and on the image below will open a PDF file Whole Tone Guitar Scale Chart that prints nicely. 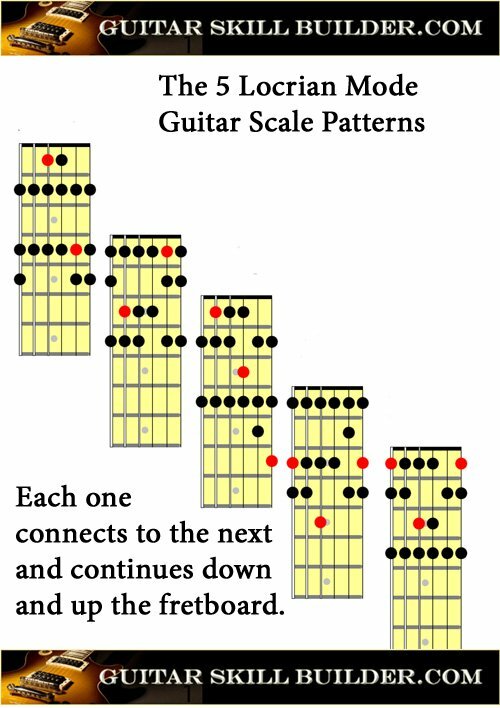 Clicking here and on the image below will open a PDF file of the Diminished Scale Guitar Chart that prints nicely. 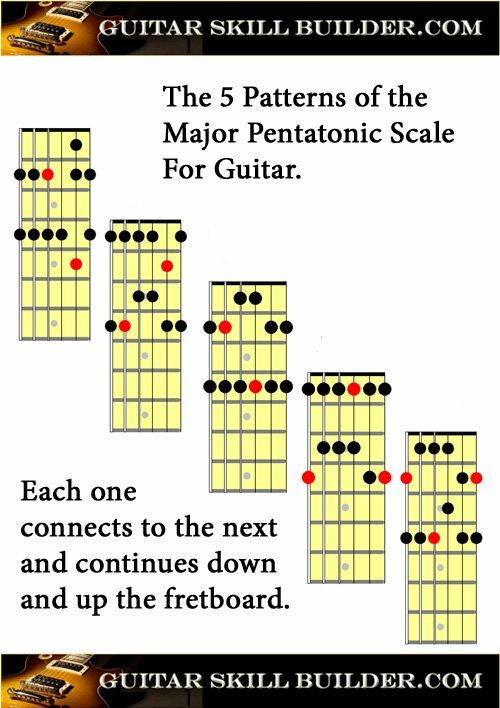 Clicking here and on the image below will open a PDF file of the Guitar Major Pentatonic Scale Chart that prints nicely. 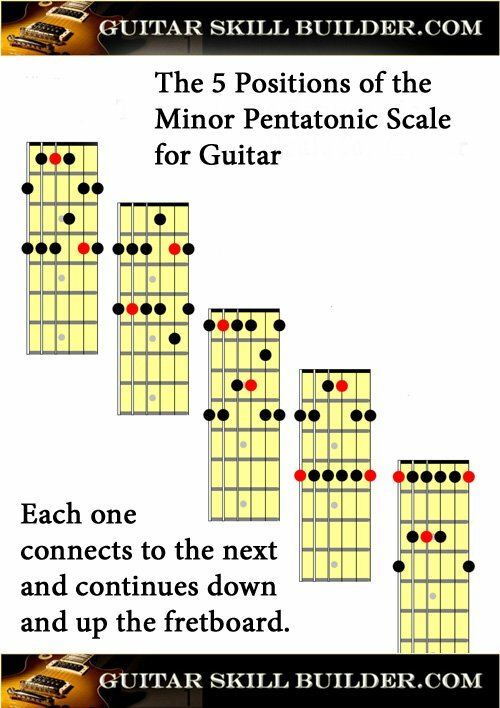 Clicking here and on the image below will open a PDF file of the Minor Pentatonic Scale Chart that prints nicely. 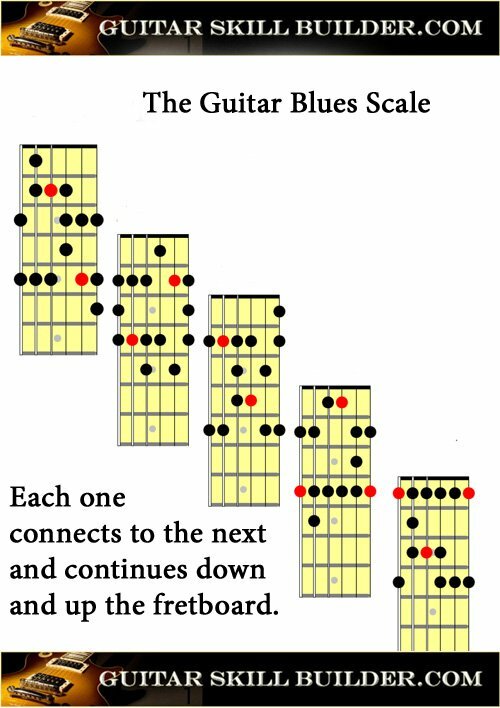 Clicking here and on the image below will open a PDF file of the Guitar Blues Scale Chart that prints nicely. 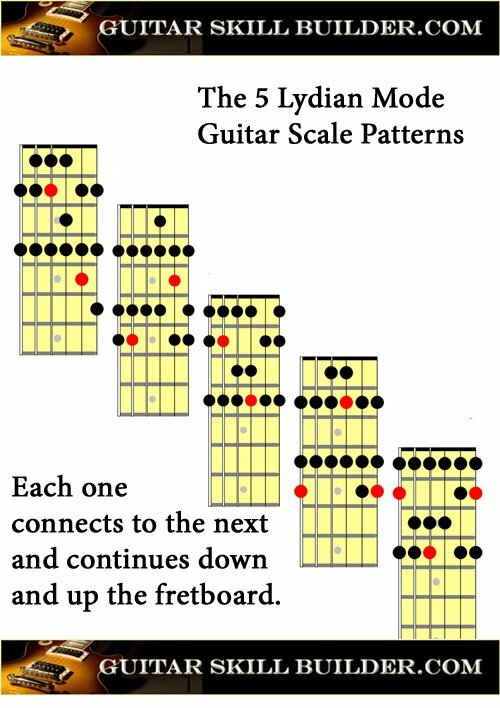 Guitar Scales Printable by clicking on the Images above. Thank you!